CLOSEOUTS. 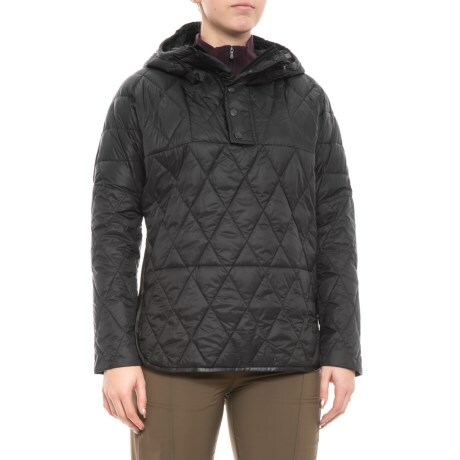 Lightly down insulated for just-right warmth, VIMMIAand#39;s Chalet hooded poncho provides lightweight warmth in a chic, cool-weather style finished with a quilted shell and flattering cut. Available Colors: BLACK. Sizes: XS, S, M, L, XL.